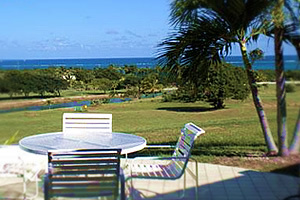 For Sale: Beachfront Condo, one of the nicest units at The Reef at Teagues Bay, on the golf course with unobstructed views of the water and Buck Island and a very private patio. The home has 2 bedrooms, 2 baths, is fully furnished, with clay tile and concrete flooring for easy maintenance, and includes all appliances. The Reef has a beautiful beach, restaurant, pool, and tennis courts across the street. This condo is a great turnkey vacation rental. 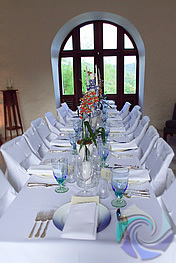 Rentals are in place through April, and the website and all marketing through November is included. Visit the website at www.carusosreef.com. Monthly condo fees are $704/month plus an assessment & insurance. Sorry, no pets. Asking $309,000. MLS # 10-62. Contact Kim Lucas, Realtor, for details: Buyer Agent St Croix, East End Plaza, PO Box 24147, Christiansted, VI 00824. 340-626-3758.